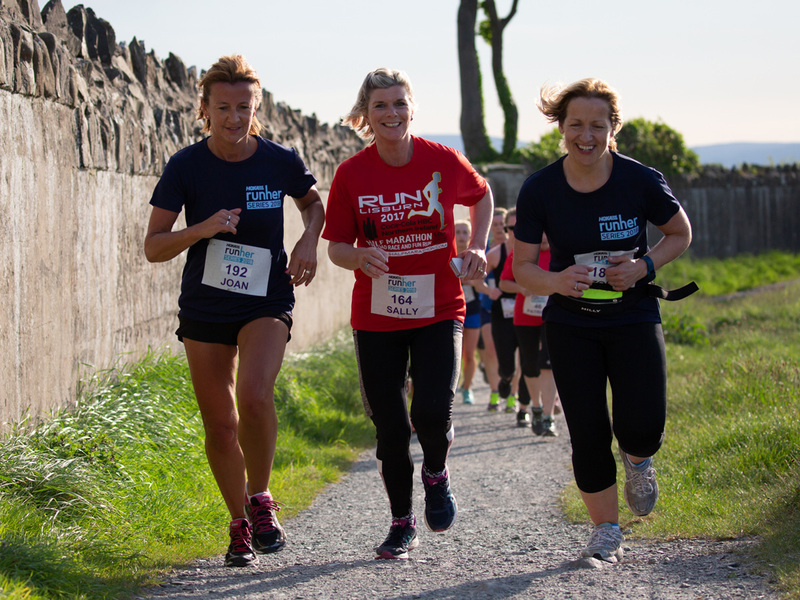 Hoka One One Runher Coastal Challenge 5k, 10k and Half Marathon returns on 24th May! 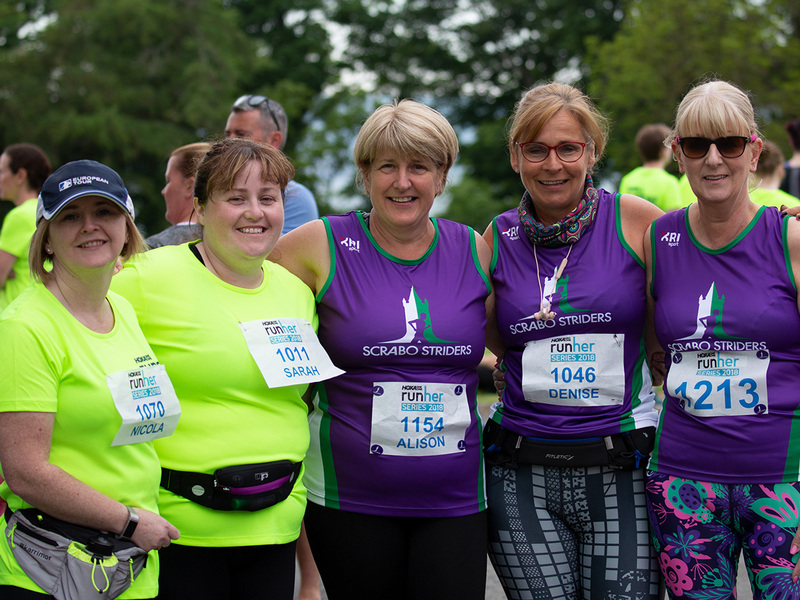 Whether it’s your first, furthest or fastest run, let’s celebrate women’s running together with Northern Ireland’s leading women’s-only running event! 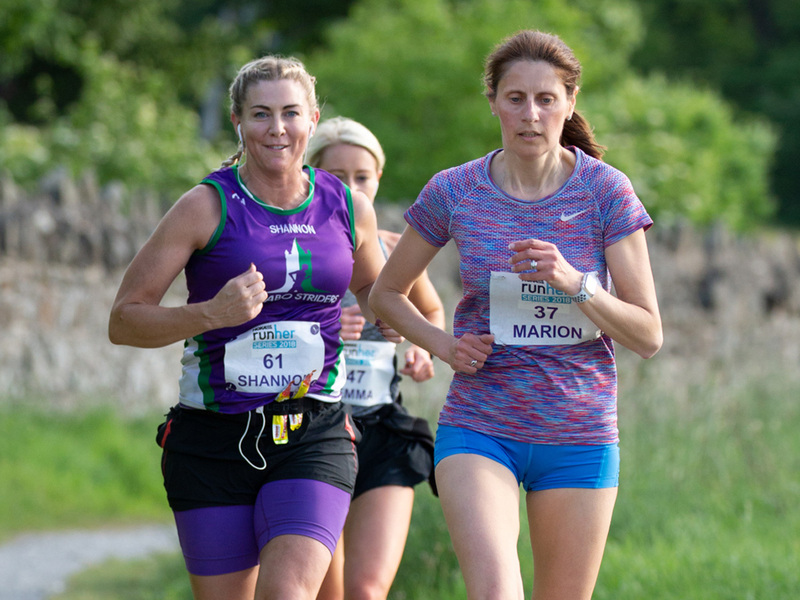 Hoka Runher Coastal is a women's only running event along the beautiful County Down coast on Friday 24th May, 2019. There are three distances to choose from: 5 km, 10 km and half marathon, all ending in Crawfordsburn Country Park. This is a great way to kick off the weekend whether you walk, run or jog. Friday 24th May, 14:00–17:30 for 5 km and half marathon and 6:30 pm for the 10 km in the bowling club at Seapark. Collecting on behalf of someone else? Are they doing 5 km, 10 km or half marathon? Either their email address, date of birth, or other identifying piece of info — in case we have more than one entry with the same name! If you are planning to collect multiple packs and you can let us know details in advance, please email shop@purerunning.co.uk. We will try to have these ready on your arrival to avoid any delays when you’re in! Race entry includes: Championchip timing chip, Runher event t-shirt, Runher goody bag, Hoka/Pure Running discount voucher and Apex Physio free treatment voucher worth £40. You can continue to enter the event at Pure Running (by paper entry) after online entry closes. &ast; Online entry excludes Active.com administration fee. The half marathon starts at The Dirty Duck at 6:30 pm. The 10 km starts at Seapark at 7:15 pm. The 5 km starts at 6:30 at Rockport School. There will be a bag drop at the start of each distance. If you wish to use the bag drop, please make sure that your belongings are in a clearly identifible bag and bring it along to the bag drop at the start of the race and your belongings will be transported to the finish area. Please do not leave valuables at the bag drop as Runher can not be held resposible for any loss or damage to items. Runher will be running a shuttle bus from Crawfordsburn Country Park, back to Rockport School and to Seapark, Holywood after the event. There will be several buses running and they will begin leaving Crawsfordsburn Country Park shortly after the first competitors finish. The shuttle bus is a free service for all runners and does not need to be booked in advance. At the finish there will be kid's entertainment, music, water and bananas for all runners, as well as a barbecue*. We suggest that you car share, use public tranport, or ask someone to drop you off at the event start as there is restricted parking. There is no parking for 5 km runners at Rockport School, but there is limited parking in the area surrounding the school. There will be no parking at Seapark, but there is plenty of parking in Holywood just a short walk away. The use of headphones/earphones is permitted but we ask that you have the volume at a level that allows you to hear marshal instructions. If you cannot find the answers to any questions you may have above, please get in touch with us on 028 90 325151 or email shop@purerunning.co.uk. Calling all running clubs, run groups, workplaces, school mums, gyms, charities, families and friends — it’s a special day out for all you ladies. Run together and celebrate success together. While our course will have some fast ladies striving for a personal best, our motto is it’s all about the finish line, not finish time. For each team of eight ladies, the team leader will get a free entry (if you have a group of 16 you get 2 free entries, etc.). Ladies, get your teams on board and join us for a great day out. You don’t all have to do the same distance and, if you have already entered, simply adjust your entry to include your team name. Also, as an extra bonus this year, there will be a special prize for the largest team that takes part. Keep an eye on our Runher Facebook page for more information. If you’d like more details on this, please get in touch via shop@purerunning.co.uk or call Pure Running 02890 325151. 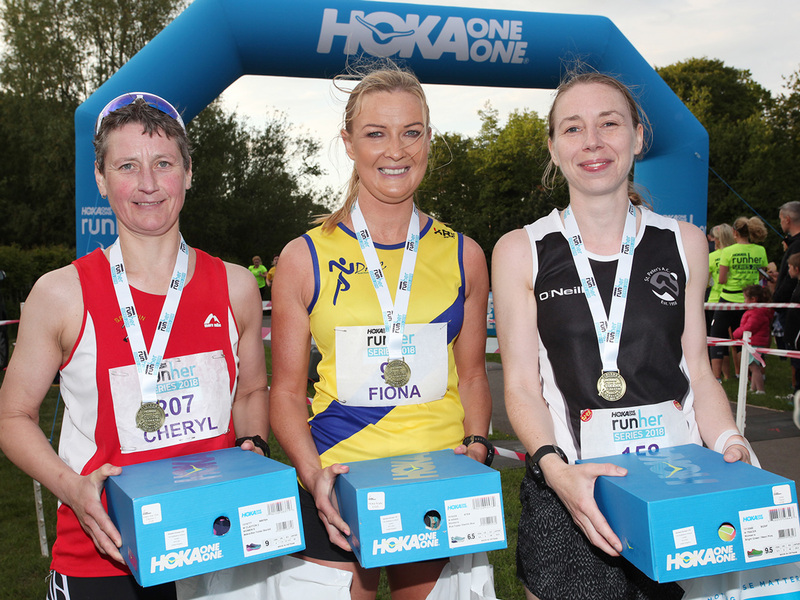 A new title sponsor and a first for women’s-only running in Ireland provide the headlines for the 2018 Hoka Runher Series. 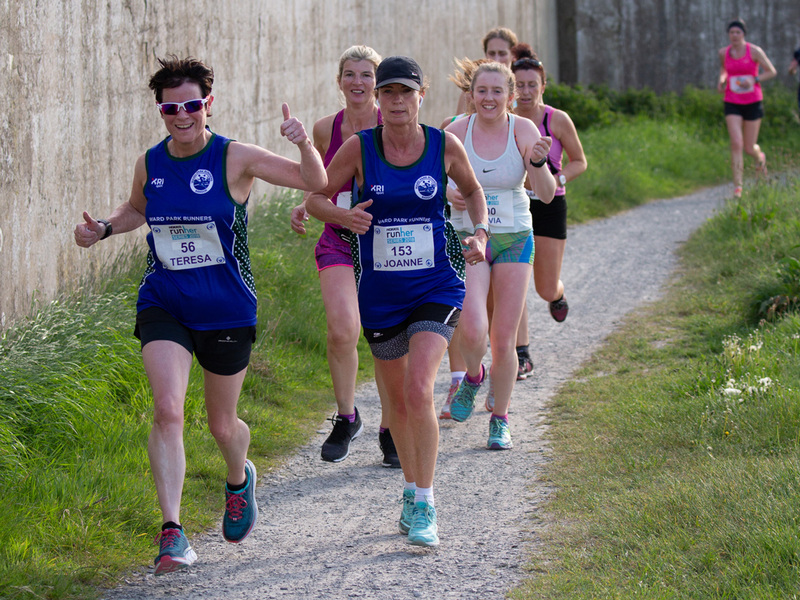 The first event up will be the Runher Coastal Challenge on Friday evening, May 25th, featuring — for the first time — a women’s half-marathon following the Belfast Lough shore path from Holywood to Bangor, retracing its steps to finish in Crawfordsburn Country Park. 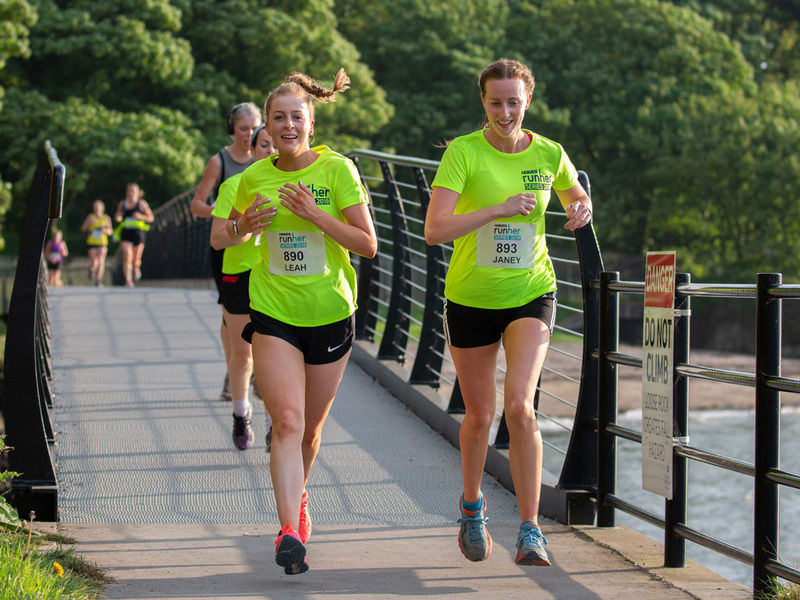 The 21K/13.1 mile women’s-only event will be the first of its kind in Ireland with only two others listed in Europe this year in Odense, Denmark and Madrid, Spain. I guess we’ve been building up to this for the eleven years that Runher has been going — starting out with a 5K, then an 8K, a 10K and now 21K. The Runher community has been growing with us and extending its ambitions and we’re excited about offering this fresh challenge along that most scenic of run routes and hopefully providing a great start to the Bank Holiday weekend. 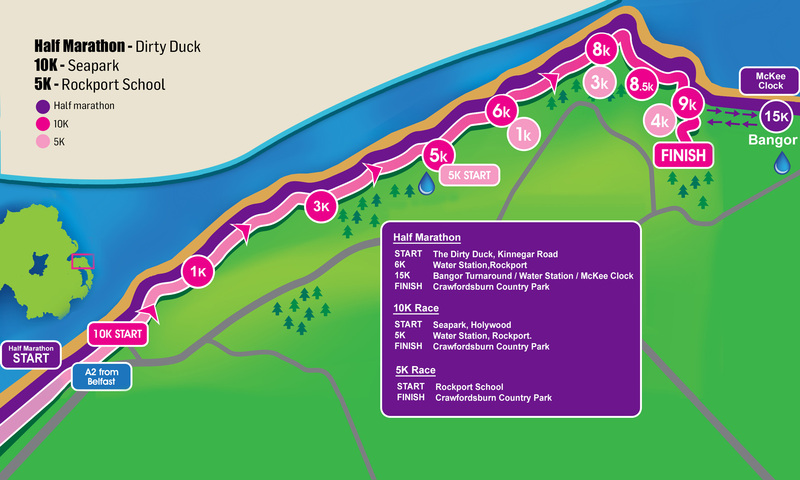 There will be three start points: Rockport School for the 5 km event (6:30 pm), Seapark, Holywood for the 10 km event (7:15 pm) and The Dirty Duck on Kinnegar Road, Holywood for the half marathon (6:30 pm) with all three finishing in Crawfordsburn Country Park where a barbecue, some kids’ entertainment and a post-race massage from Apex Physio will be available. The Series will conclude with Runher Titanic 5K and 10K on Sunday morning, October 21st 2018 in the Titanic Quarter.